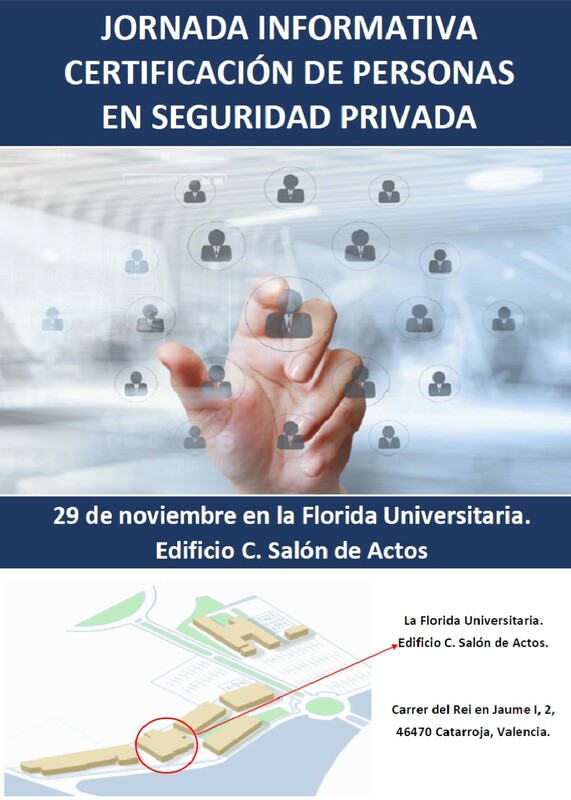 JORNADA INFORMATIVA CERTIFICACION DE PERSONAS EN SEGURIDAD PRIVADA. 29 DE NOVIEMBRE. VALENCIA. 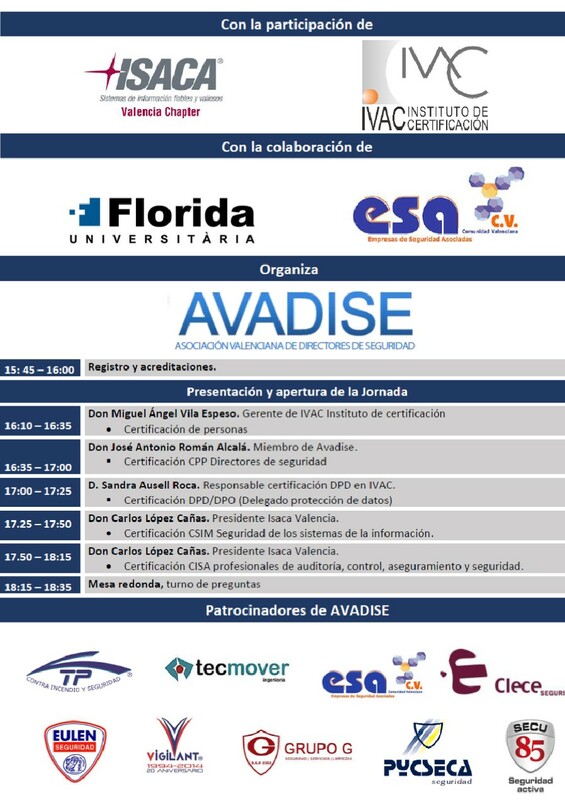 Home Noticias JORNADA INFORMATIVA CERTIFICACION DE PERSONAS EN SEGURIDAD PRIVADA. 29 DE NOVIEMBRE. VALENCIA.